2 Bäder. Unten hat keine Dusche. Dusche befinden sich im Obergeschoss. Es ist ein wunderschönes, großzügiges und liebevoll eingerichtetes Apartment. Wir verbrachten hier 6 erholsame und entspannte Tage bei Sonnenschein. Nach etwas Geduld mit der Heizungsanlage wurde es dann auch ausreichend warm in der Ferienwohnung. Four of us stayed for four nights and the apartment is very well kitted out which made our stay very pleasant. The terrace was great on the sunny afternoons. There are restaurants and bars very close by. The train station is less than five minutes walk away and we walked to catch a boat to Desert Island and that walk took us about 15 minutes. Ivan was very friendly and helpful telling us about places we might like to visit and how we could get to them. You do need to be able to manage stairs as there are about 56 steps to the apartment which is on the top floor. It was a very quiet block while we were there. 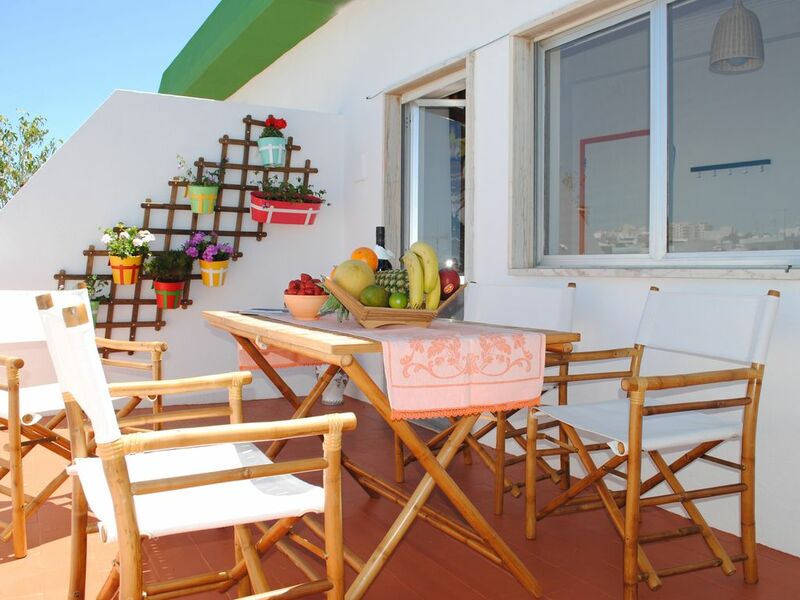 I'd recommend the apartment as a good place to stay in Faro. Appartement propre et agréable, bon accueil d'Yvan.